If you are at risk of foreclosure, for many people chapter 13 bankruptcy is a very good option for you to choose from. A Chapter 13 bankruptcy in Texas can provide the mechanism that can allow you to keep your home while you eliminate qualifying unsecured debts. For this type of a bankruptcy to be successful, it will be necessary for you to have a wage, essentially earning this bankruptcy the nickname “wage-earner’s bankruptcy.” With the help of an experienced bankruptcy lawyer, the Chapter 13 bankruptcy repayment plan is something provided by the court to qualified debtors that allows them to get their mortgage payments caught up and current. So if you are being threatened with possible foreclosure and you have decided that keeping your home is a top priority, contact an experienced Dallas bankruptcy attorney at the law firm of Richard Weaver. Some examples of cases where this doesn’t work are situations where the trustee payment in a chapter 13 will simply be too high for the homeowner to handle. In this type of a case, it will be necessary to make both your mortgage payment and a trustee payment that essentially catches up the past-due portion of the mortgage over time. In such cases where the past-due portion of the mortgage has grown to a portion that is immense, the according trustee payment combined with the mortgage payment could exceed your ability to handle in your budget due to income constraints. Contact our office to learn about your options and we would be happy to work through these details and do our best to help you find a good solution! One of the problems with mortgage servicers is that they add a variety of costs and fees, making it almost impossible for a homeowner to reinstate a mortgage. However, a Chapter 13 bankruptcy lets you dispute the legality of those fees and costs on a number of grounds. Learn more about mortgage laws and your rights as a homeowner and borrower by speaking promptly with an experienced Dallas bankruptcy attorney at the law firm of Richard Weaver. Call them promptly at (817) 422-5929 or (214) 960-4125. Understand that in a Chapter 13 bankruptcy, you can only keep your home by making your current payments while simultaneously paying off a portion of your arrears each month. You must also create a plan to stay current with your other monthly expenses. The bankruptcy trustee must also be paid, and that cost is about ten percent of the total repayment plan. A Chapter 13 bankruptcy gives you three-to-five years to resolve your mortgage problems and pay off your unsecured debt. You will have to use your disposable income to pay off as much debt as you can over the three-to-five-year period. At the end of that time, any remaining unsecured debt is discharged. Bankruptcy is not for everyone, but for some homeowners, it’s the only practical solution available. 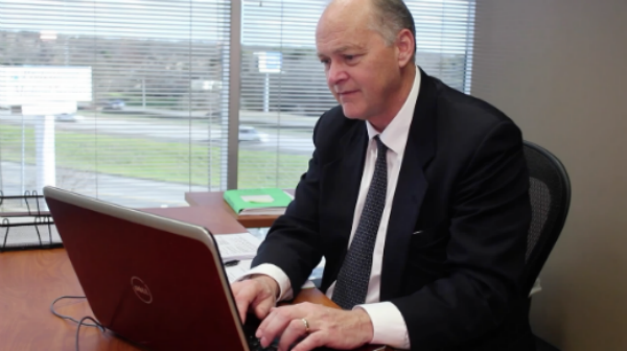 You should discuss any impending foreclosure and your options at the earliest opportunity with experienced Dallas bankruptcy attorney Richard Weaver. Call right away at (817) 422-5929 or (214) 960-4125 and obtain the sound legal advice and services you need.